Click on the link below to see photos from our trip to CCGS! Look at this amazing piece of homework from Zac! He created a Mayan temple using lego. Well done Zac, you have won a prize! You can register online at www.kent/gov.uk/ola or if you wish to receive a paper registration form please contact the Secondary Admissions Team on 03000 412121. Please speak to your child's class teacher if you have any further questions. Times Tables Help Use this link to help with times tables! Education City Under the 'homework' tab you will find an ongoing multiplication homework! 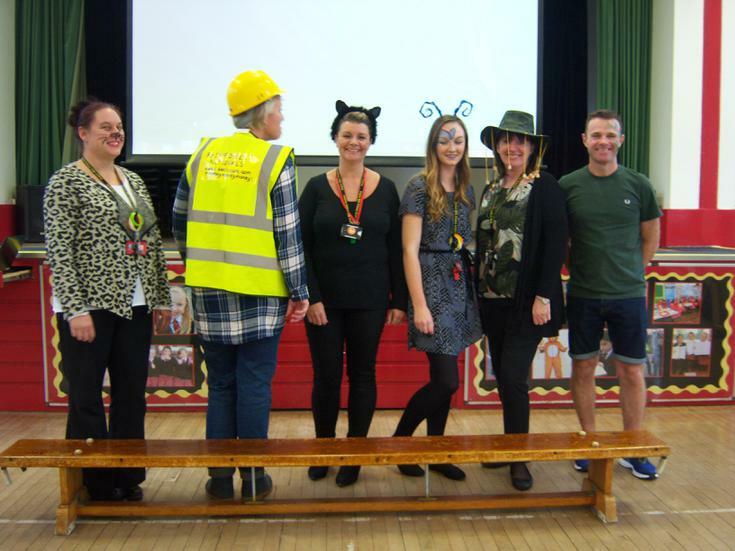 The year 5 team had an amazing time Friday dressing up Rainforest style!